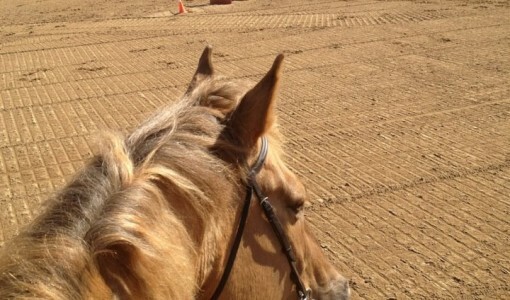 Otis, a toasted oat-colored 13-year-old horse, developed an occasional cough but it came and went with no predictable pattern or time of year. As a multi-sport athlete, some days the mysterious cough prevented Otis from fully engaging in his activities the way he normally could and over time it started to worsen, said owner Susan Strait. Her veterinarian recommended bringing Otis to the Hospital for Large Animals at the Cummings School of Veterinary Medicine at Tufts University for an evaluation. Melissa Mazan, D.V.M., a large animal veterinarian at the hospital and associate professor of internal medicine, checked Otis’ lungs and pulmonary function and pinpointed the issue: inflammatory airway disease (IAD). HLA has seen similar cases and has built up expertise in treating IAD, a condition that affects a large number of horses but can be difficult to diagnose. Common signs of the condition include intolerance to mild exercise, intermittent cough, nasal discharge, and lung function abnormalities. 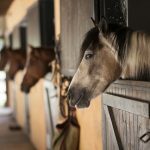 The net effect of the airway inflammation is reduced lung function, which is especially concerning for performance horses and commonly affects young to middle-aged horses. Race horses tax their respiratory systems during competition to a point where they have no lung reserves, said Dr. Mazan. So IAD can have an immediate and noticeable impact on this population, and the younger the horse is diagnosed with the condition, the easier it is to treat. 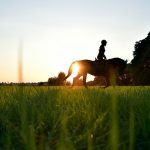 With dressage horses, there is still some lung reserve during performance so often times the condition isn’t detected until later in a horse’s life. 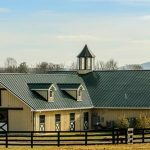 Dr. Mazan prescribed a course of medications to help Otis and offered suggestions to minimize the environmental irritants that could be in a barn, such as dust and mold. 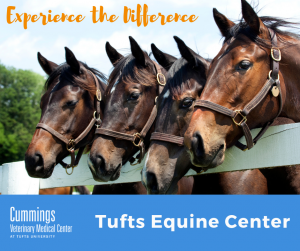 Staff at Oak Meadow Farm, where Otis boards in East Windsor, Conn., worked with Strait and came up with tweaks to help Otis breathe a little easier. 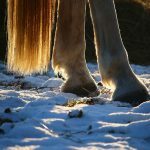 For example, the use of shavings is limited in Otis’ stall, and as standard practice at Oak Meadow, horses are allowed maximum amounts of time outside in the fresh air as weather permits. The combination of medication and environmental changes worked and within a month Otis was back to his regular self. Strait said he didn’t require any further medication after the initial treatment, is symptom free and happy doing what he loves—jumping and dressage.